TEDxYouth@Hackney Event: some words from the social media management. Changing the way we teach in classrooms by identifying the introverts and extroverts. Female Fandom: a good thing or a bad thing? Is Shakespeare good for teaching moral values? World Hearing Day: What YOU can do to help those who can’t hear well. Endangered Oceans: Why we should care? 2018 – marks the end of a decade for me. The title is “Surprise Me” and boy was I surprised! Typically, I was expecting the story to go in the same route as her previous works. The heroines I had been used to in her earlier works like my favourite Twenties Girl, Shopaholic Series, Undomesticated Goddess, My Not So Perfect Life portrayed single women who stumble through life, career and romance with a sprinkle of humour and a dash of fun. This time, Sophie Kinsella had decided upon a much more mature and serious route. 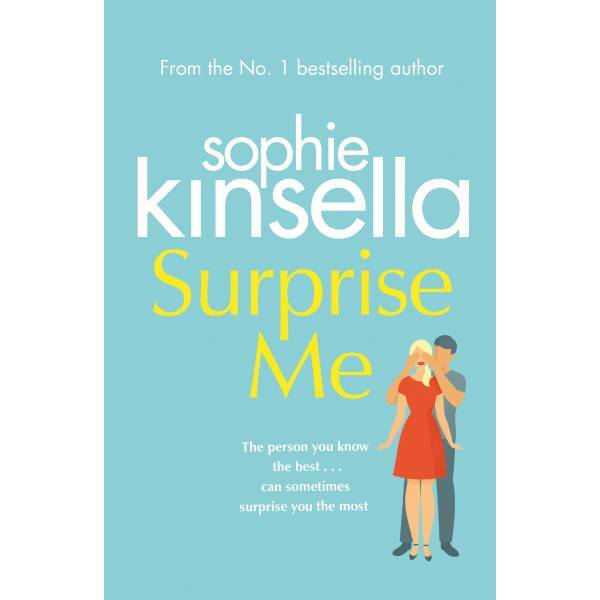 Sophie Kinsella surprised me by taking away that element of predictability and taking me to town with a much different story-line: an exploration of marriage. After a visit from their doctor who predicted they could be together for 68 more years, Sylvie decides to embark on a project surprise me to keep the spark alive in her relationship with Dan. At the start, Sylvie mentions how Dan and her are so in tune with one another that they don’t need to have a full conversation to know what the other one is thinking. They can finish off each other’s sentences and can sense what the person is feeling without saying a word. They are the couple who are in-sync with one another. Despite all of this, the thought of spending the next 68 years with Dan sends her into a spiral of worry about how to keep boredom and mundane-ness from their marriage. Her idea of doing surprises is to keep the marriage from becoming a one long prison sentence. She doesn’t want to become the couple who do crosswords and keep boxsets to keep themselves entertained. Her project surprise me is an idea she thinks will keep her marriage from turning mundane. However, her neighbour Tilda warns her that surprises do tend to have a way of going awry, and that’s where the story kicks off. Having lived in her own happy and oft rose-tinted bubble (and this is something that I noticed a lot in Sophie Kinsella’s heroines), she begins noticing Dan’s distractions and through his evasive behaviour comes her own self-discovery. When she fears the worse and thinks Dan is cheating on her, she learns some truths about her own family. This is when her own self-discovery begins, and she realises who she truly meant to be. In the end, she finds out who she truly is and what she wants out of life. As a mature novel from her previous works, I thoroughly enjoyed this book and found that there some lessons to be learned about relationship, self-discovery and happiness. In her own Sophie Kinsella way, she ends the book on a positive and upbeat note. What I took from this novel is that marriage is hard work and it’s not easy being married for a long time, especially when you have kids and a career to juggle with. Not to mentions in-laws, relatives, and so on. I am certain that most marriages go through a stage where it does hit stalemate but sometimes little surprises here and there can bring that spark back (as long as it is not an exotic animal that you know your partner would not care to enjoy having around!). As with her previous works, I finished her novel, feeling sad that I had no more pages to turn. I do still have her other books that I might re-read again and once I have read them, I will re-read this book again.